Provide comfort for the family of Elizabeth Aldred with a meaningful gesture of sympathy. 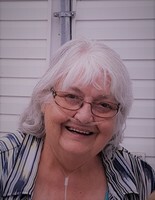 It is with great sadness the family of Elizabeth Aldred announce her passing on Friday February 1st, 2019. Daughter of the late Lenard & Simone Renaud, wife of James Aldred for 64 years. Mother of Cynthia (Henri), Christina (Hans), James (Joan), Micheal (Nancy), Randy (Suzy) and Tanya (Derick). Elizabeth also had 12 grandchildren and 11 great grandchildren with two on the way. She is predeceased by her brothers Lenard, Roland, Ernie, Vic and sisters Helene, Linda and June. Survived by brothers Phil, Eddy and sister Grace. 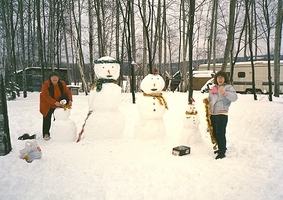 Elizabeth loved camping, traveling, music and quilting, but her greatest love was her family. Elizabeth lived life to the fullest including going camping in August and having a sign-a-long from her hospital bed. She also loved her extended family of friends and their children, many who also called her aunt Betsy or Grandma. Special thanks to the doctors and staff at Sudbury Health Sciences North for the wonderful care they gave Elizabeth to the end and sister in-laws Pat and Betty for all their help. Viewing to be held at McDonald Funeral home Ltd., 46 4th Avenue, Englehart on Wednesday February 6th from 7-9pm. Service will be held at The Good Shepherd Church 139 Second Avenue North, Englehart at 2pm followed by a luncheon. Betsy, Mom, Grandma, Great Grandma we will love and never forget you. You have earned your wings Rest in peace. Condolences, contributions and memorial candles may be left at www.mcdonaldfuneralhome.ca. To send flowers in memory of Elizabeth Aldred, please visit our Heartfelt Sympathies Store. Michele & Ray and Heinz & Loriane Huesmann have sent flowers to the family of Elizabeth Aldred. Dear Mike and Nancy, Our deepest sympathies to you and your families- our thoughts are with you. I met the Aldred family many years ago whilst I patronized CYNTINAS LUNCH in KL. I became their next door neighbour for the next 10 years as I rented a small house from them on "GORT RD".My condolences to Jim,Cindy,Tina, Jim,Mike,Randy and Tanya.Betsy will not be forgotten,a good life well lived.